Today was such a nice day and since the weather has been crappy in the GTA lately, we took full advantage. 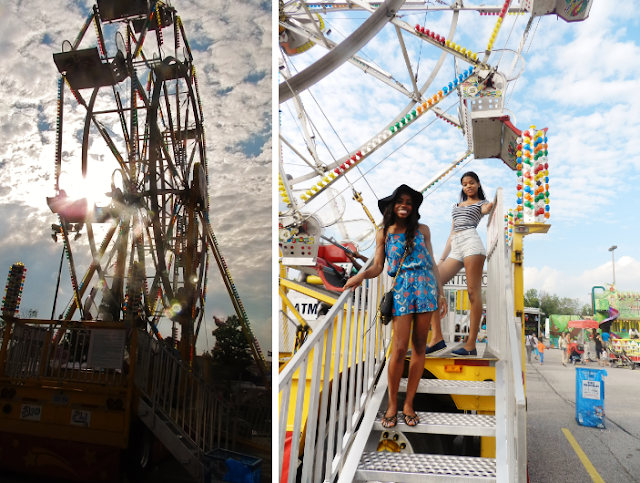 There was a ribfest going on in Markham, so my sisters, brother in law and cousin decided to go check it out. I am so glad we did. The ribs were amazing and we had such a good time. Who doesn't love a giant BBQ with tons of strangers? This year, I bought my ribs from the Tennessee Fatbacks and they were very funny, not to mention, their ribs were on point. If you've never been to one of these things, I really recommend it. Even if you're not a big meat eater, there is other food and games etc. So much to do (if you're a vegan or extremely sensitive when it comes to people eating meat, obviously don't go) ... but I had an amazing time. Today was just such a good day.. By the way, I should mention that I tried Butterbeer soda for the first time today and it is REALLY good. I didn't expect it. It really reminded me of how badly I want to go to the Harry Potter amusement park in Florida. I still haven't been ! !